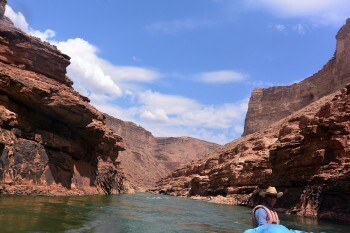 We enjoyed the privilege of rafting down the Colorado River for 6 days with 25 of the nicest people. 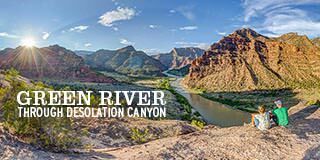 The excellent staff of Western River Expeditions included two awesome boatmen that showed us a grand tour of the Colorado River in the most beautiful canyon in the world. Years ago, my wife and myself and friends took the 3-day / 2-night trip and had a blast. So we came back with our 13-year old daughter. We thought it would be a fun vacation with a slightly more bumpy ride that included cool things to see. We were wrong by 183 miles. 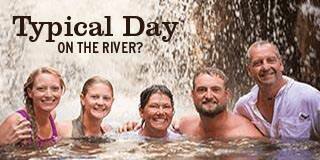 The trip was fantastic and the white water rafting was the real deal. Our guides kept us safe and very well feed. They also provided a great education on the Indians that once lived in the canyon and early travelers (of our society) on the river. The history of this wild and beautiful place can only be experienced by rafting the Colorado River through the Grand Canyon. The beauty on the Grand Canyon can only be seen through your own eyes. No words or songs can convey the feeling of being on the river. No hike or helicopter tour can provide the same level of experience. 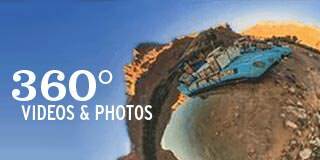 No amount of Google searching can provide you with what I felt and saw and breathed and experienced. No YouTube video can prepare your for the excitement of hanging on in Lava Falls and Hermit and Crystal rapids. You can stand on the rim of the canyon and ooh and aah and wonder what it is like down below (and I am sure it is very nice up there). 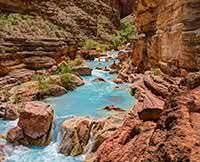 Or you can make the journey yourself and feel power of the river and see the canyon for it's raw beauty. 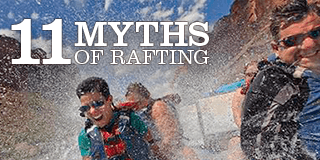 The rafting trip on the Colorado River through the Grand Canyon is an epic experience.